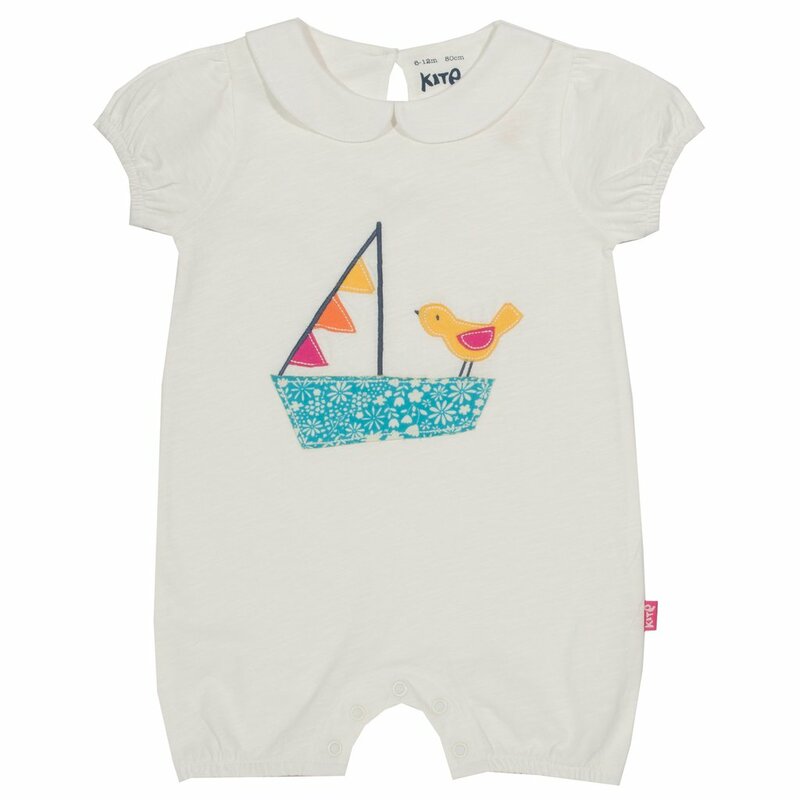 Made from our special baby organic clothes this super cute little romper with collar and bright sailing boat appliqué is sure to become a favourite. 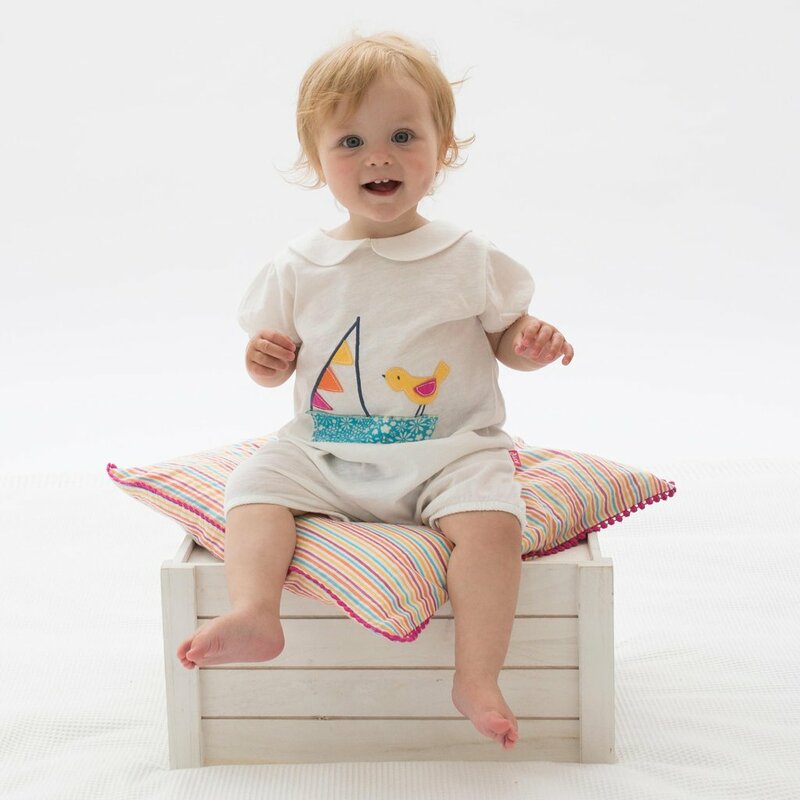 With elasticated sleeves and legs. Popper crotch opening.